Raw data + was updated by emputzer. Strategy card settings were updated by emputzer. 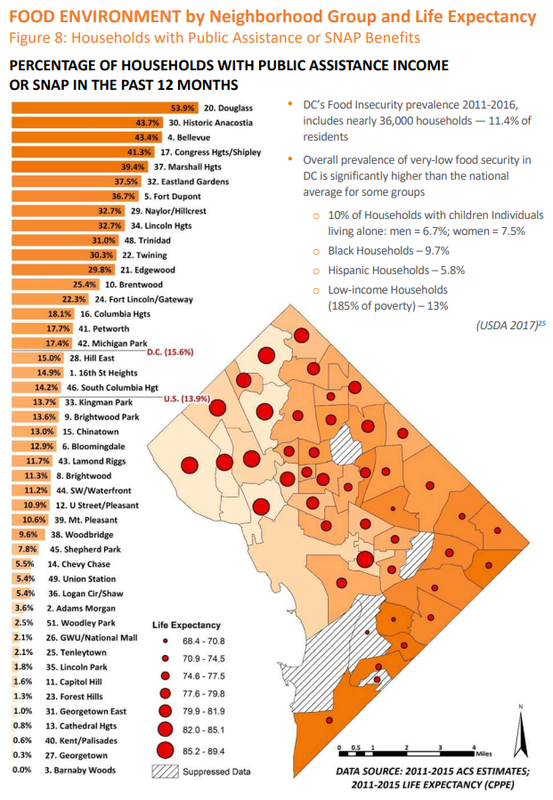 Percentage of total population in poverty by statistical neighborhood. 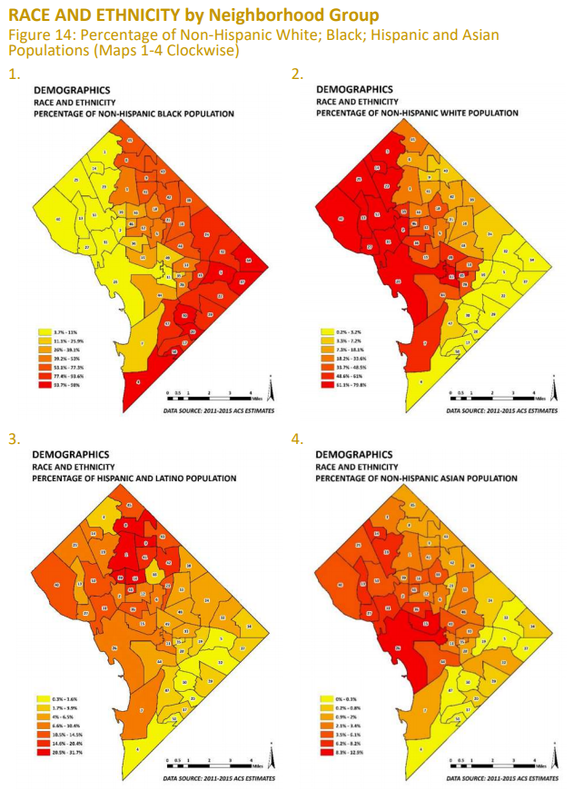 Percentage of Non-Hispanic White, Black, Hispanic, and Asian populations by statistical neighborhoods. 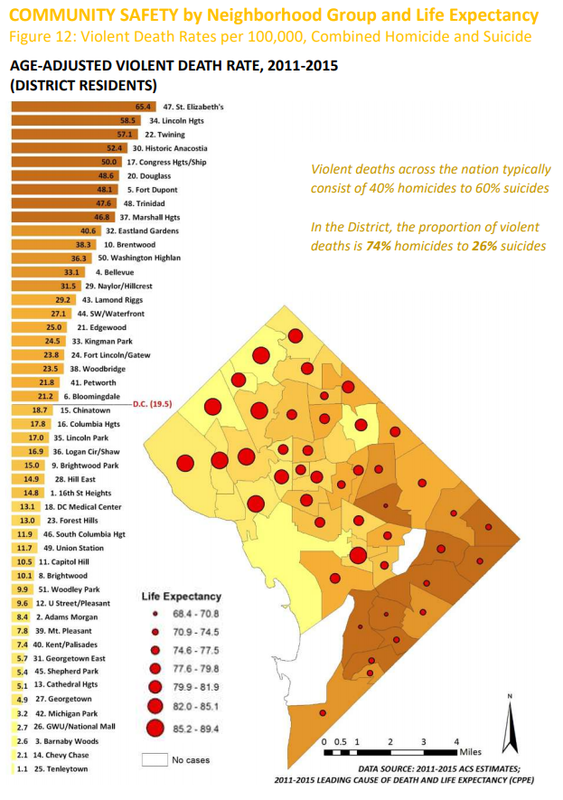 Age-adjusted violent death (homicide and suicide) rate, 2011-2015, among District residents by statistical neighborhoods. 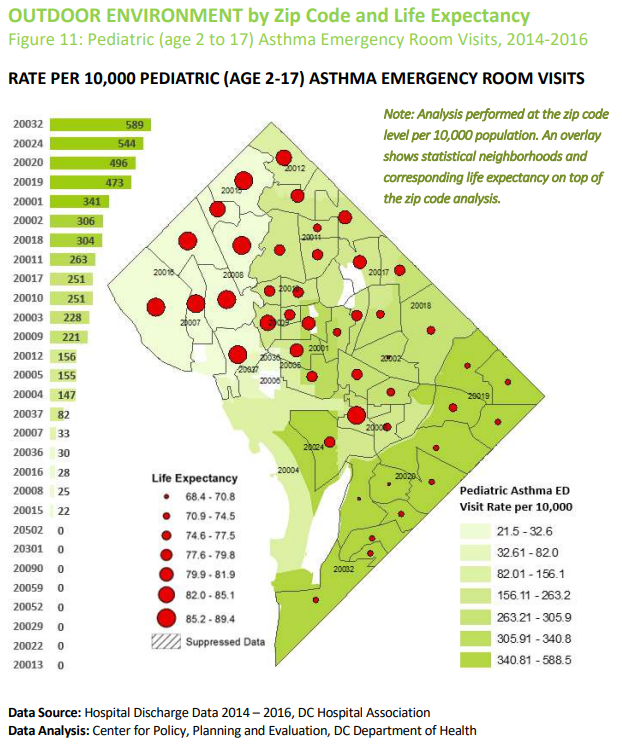 Rate per 10,000 pediatric (age 2-17) asthma emergency room visits by DC zip code. 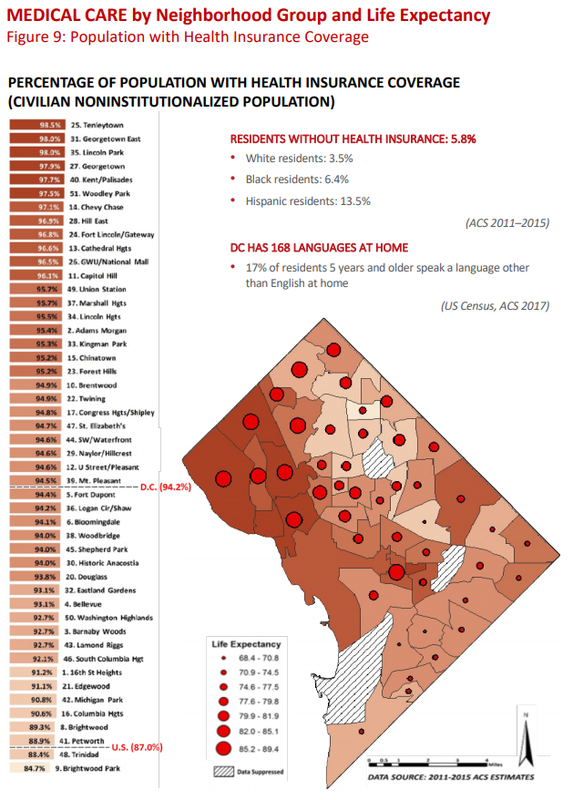 Percentage of population with health insurance coverage (civilian non-institutionalized population) by statistical neighborhoods. Percentage of households with public assistance income or SNAP in the past 12 months by statistical neighborhoods. 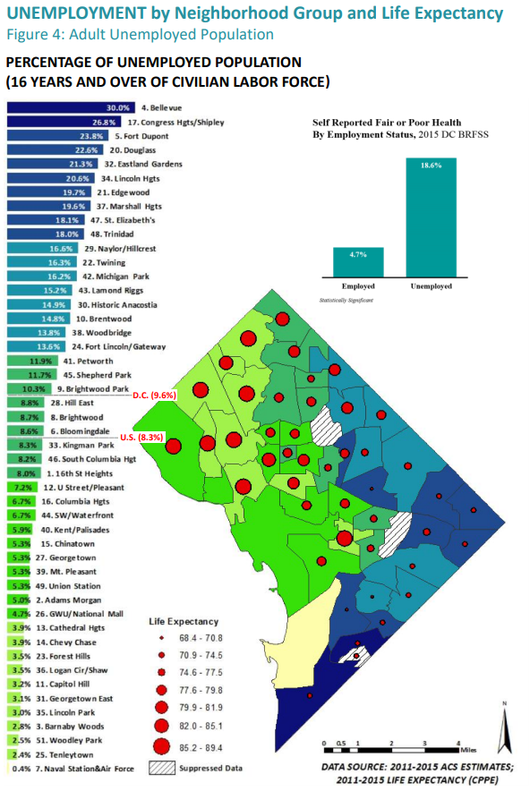 Percentage of occupied housing units with no vehicles by statistical neighborhoods. 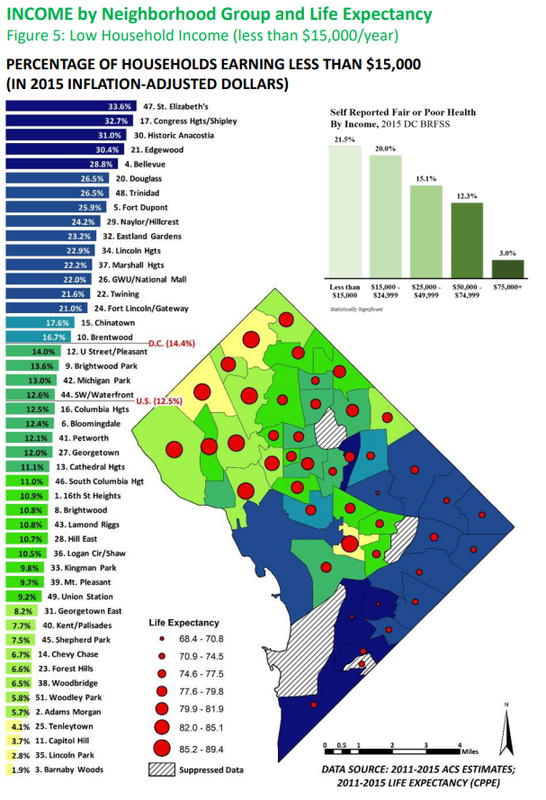 Gross rent as a percentage of household income (GRAPI) 35% percent and more by statistical neighborhoods. 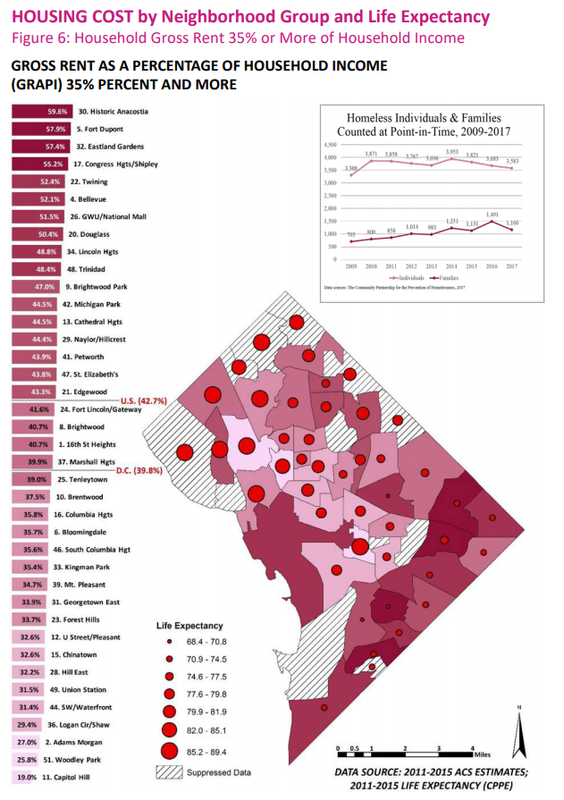 Percentage of households earning less than $15,000 (in 2015 inflation-adjusted dollars) by statistical neighborhoods. Percentage of unemployed population (16 years and over of civilian labor force) by statistical neighborhoods. 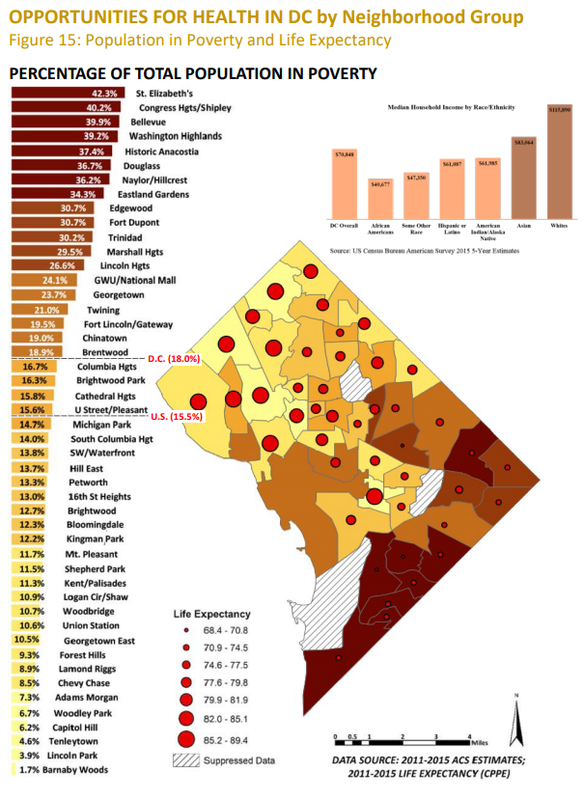 Percentage of adults (25+) with less than a high school diploma living in poverty shown by statistical neighborhoods. 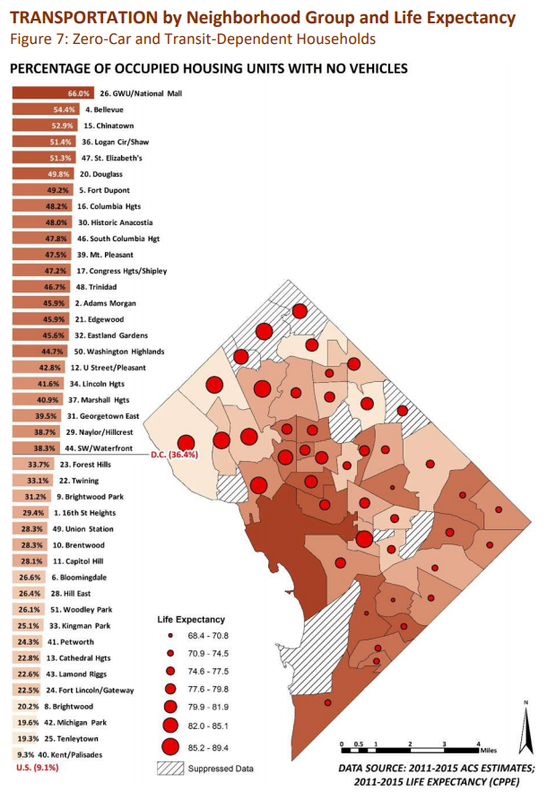 Life expectancy at birth shown by statistical neighborhoods.